The statistic shows the results of a customer evaluation of Premier's performance in the United Kingdom in 2015. 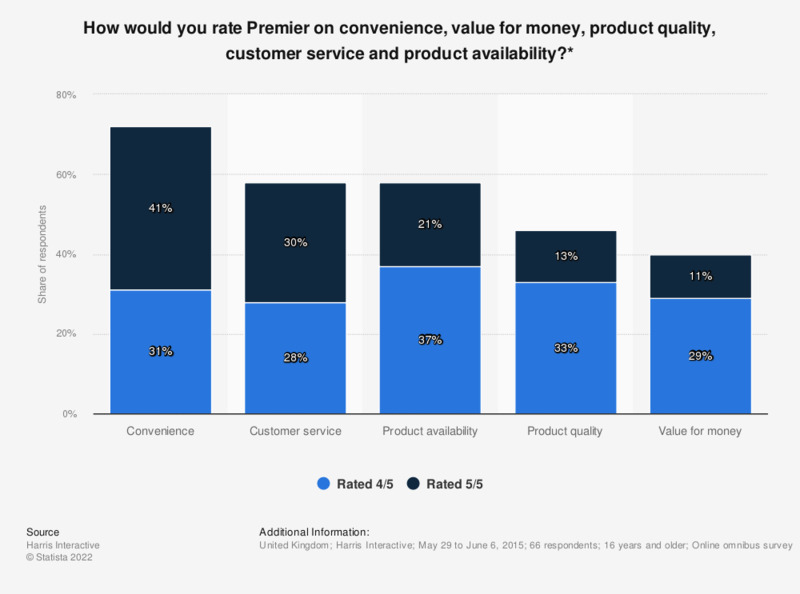 Premier ranked quite high on convenience, with 72 percent of respondents rating it a 4 or 5. Only 40 percent of participants rated the value for money as a 4 or 5.